Chicken breast is rich in protein, which has a good auxiliary effect on reducing fat or increasing muscle. The chicken breast products on the market are also “out of the box”, with marinated chicken breast, smoked chicken breast, chicken breast meat pills and so on. 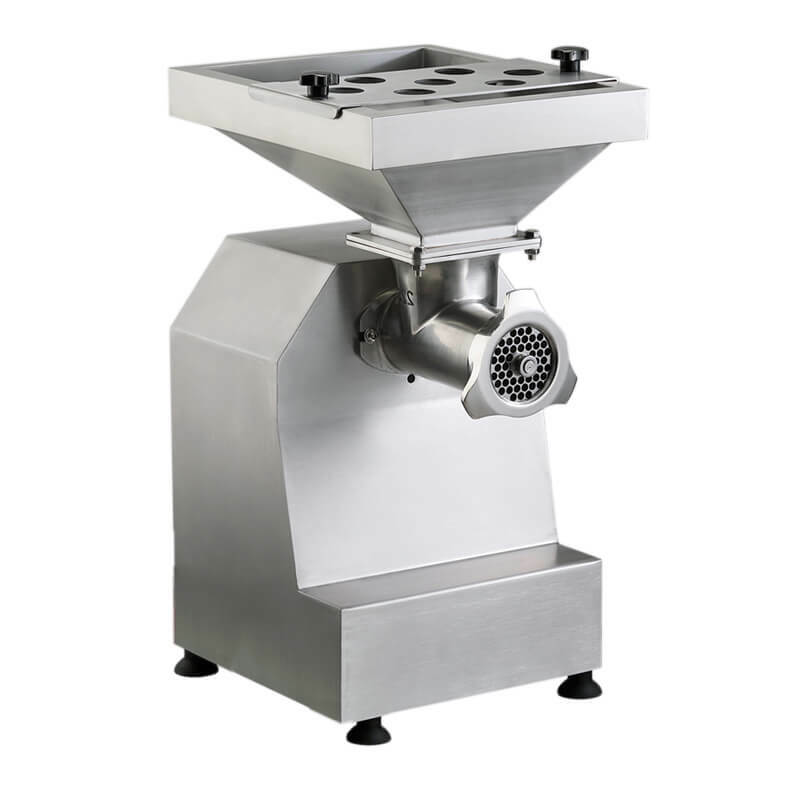 Different flavors of the same ingredients naturally require different food processing equipment. Marinated chicken breast is a relatively common product on the market. Conventional artificial pickling is inevitably time-consuming and labor-intensive when picking up a large amount of material, and there may be unevenness in pickling. In the industrial production line, the task of pickling meat is handed over to the vacuum tumbler. The vacuum tumbler is a vacuum environment in which the meat pieces are turned over and beaten in the drum. The mutual impact between the meat pieces is used to achieve uniform pickling, and at the same time, the meat’s joint strength can be enhanced and the elasticity of the product can be improved. The tumbler also has a lung breathing function, which allows the meat pieces to alternate between vacuum and atmospheric pressure. This can cause changes in the internal structure of the meat pieces, enhancing water retention and tenderness. In addition to pickling, smoking is also a popular way to process chicken breasts on the market. Smoke can not only inject new flavor into the ingredients but also extend the shelf life of the ingredients. Traditional smoke is mainly achieved by burning smoked materials, which not only harms the environment but also causes cancer. To solve these problems, researchers have designed automatic smokers. The automatic smoker adopts a full computer automatic control program, and the body is equipped with a human-computer interaction interface. Production process data can be fed back in real time, making it easy for operators to debug. For different production processes, the smoker has three functions of hot smoke, cold smoke, and warm smoke. The temperature of the hot smoke can be maintained at around 80-110 degrees Celsius, and the temperature of the cold smoke can be controlled below 25 degrees. The smoked stove mainly uses the liquid smoke method to smoke the food with the smoked flavoring material. One of the characteristics of the liquid smoke method is that it does not contain carcinogens, allowing people to enjoy the smoky flavor while reducing the carcinogenic hazard. And the liquid smoke method does not need to burn the smoked material to protect the environment while eliminating the hidden fire. Whether it is pickled or smoked, most of the meat is processed. To process chicken breast meat pills, you need a meat processing line to help. The processing of the meatballs is mainly meat cutting – mixing – beating – shaping – cooking – cooling, which can be done on the assembly line. 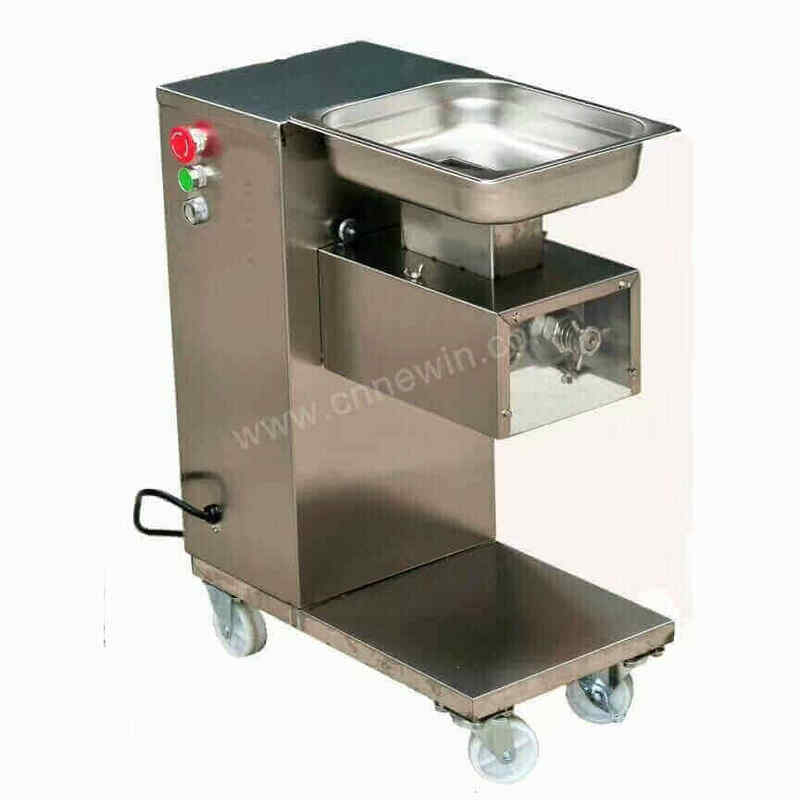 After putting the fresh meat into the meat cutting machine equipment, cut the fresh meat into small pieces. A small piece of fresh meat is then placed in a meat grinder and smashed into the meat. The meat will be sent to the chopping machine together with the seasoning and mixed into a paste. In order to further improve the taste of the balls, the meat after the mixing is sent to the beater for beating. After the above process is completed, it is the turn of the meatball machine. The meatballs produced in the meatball machine will fall directly into the molding tank for rapid shaping. 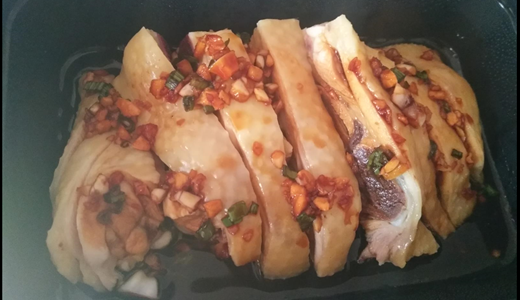 After the shaping is completed, it will be directly sent to the cooking machine, and the cooked meat will enter the cooling pool for rapid cooling. After such a set of processes, the production of the balls is completed. In addition to chicken breasts suitable for fitness people, beef, dragon fish, salmon, etc. are suitable for meat intake during fitness. These meats can also be used to make different flavors of products using a tumbler, a smoker, or the like. The author believes that with the support of this food machinery, the variety of fitness food will be more and more, and the choice of fitness people will be more abundant.